First thing yesterday morning we were given a safety briefing on the fuelling, which is extremely hazardous and planned to start later this week. In preparation, the propulsion team is now installing all the necessary equipment in the cleanroom and in the electrical ground support equipment room. 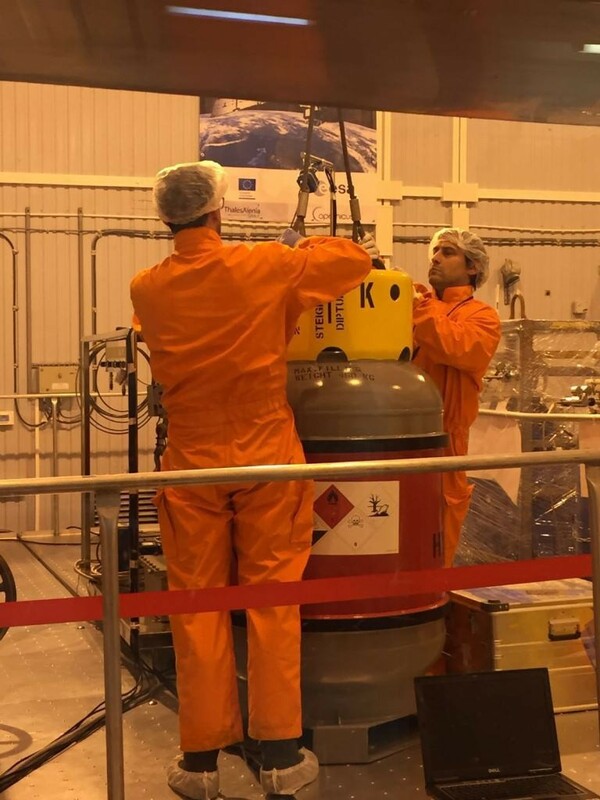 As part of the preparations, they have already moved the hydrazine fuel from their container in the general hall and placed them in the cleanroom. This needs to be done a few days before the process of fuelling so that the hydrazine has enough time to stabilise. Even this bit is hazardous so everyone who wasn’t absolutely needed had to leave the building. In parallel, we carried out the launch and network countdown rehearsal with the European Space Operations Centre, ESOC, in Germany. 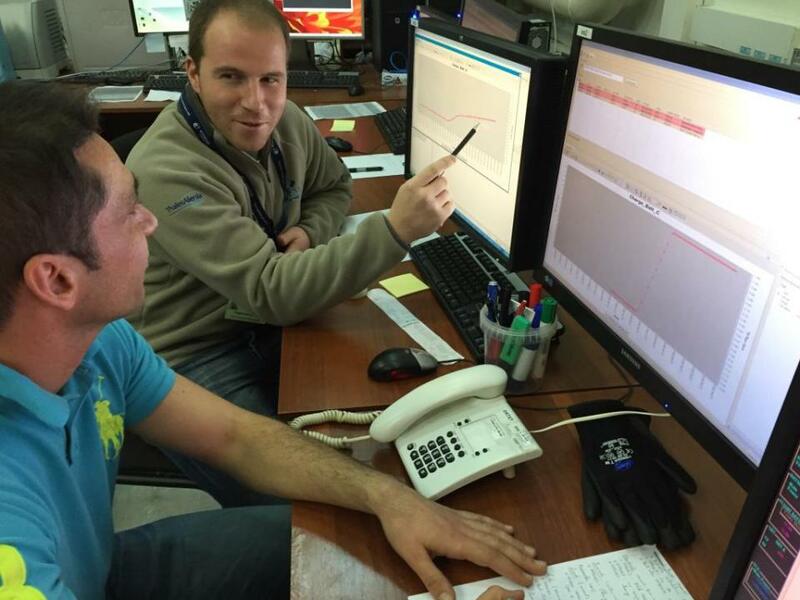 This involved operating the satellite with the same procedures and setup as it will be on the day of launch, communicating on the voice loop with ESOC and providing live telemetry. All this went very well. 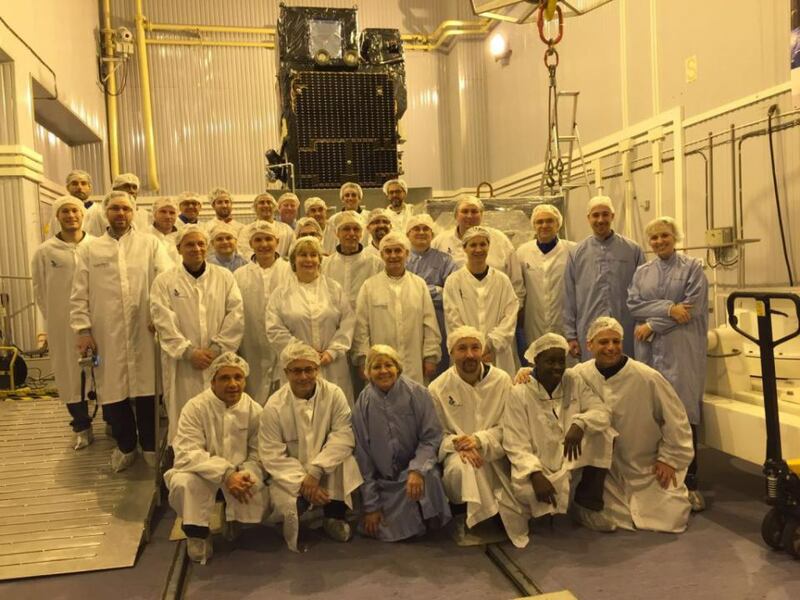 Prior to all this … on Friday we woke up our satellite from its winter sleep and did a brief health check. Our baby was alive and kicking! 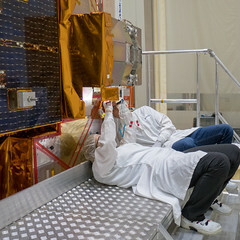 After this, it was switched off again to perform one of the next critical steps: install the battery ‘arm’ plugs which connect the battery to the satellite bus. Once the plugs were in position, we charged the battery. This takes a long time – we finished mid-afternoon on Saturday and enjoyed a day off on Sunday.